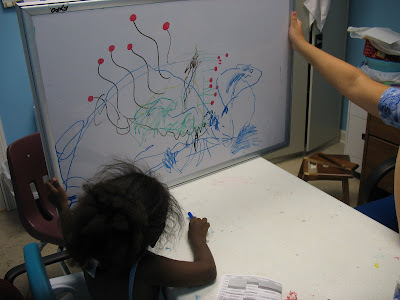 An art therapy session my OT did with a little boy….taking turns drawing and then analyzing afterwards…. 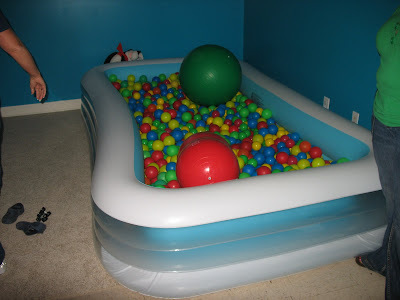 The ball bath, I swear I spend like half my days in this thing. 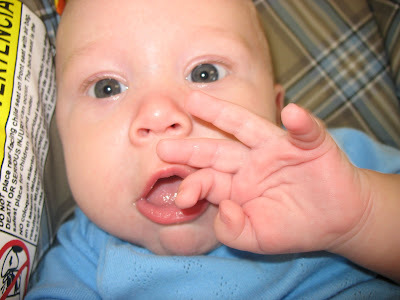 This is NOT a client but rather a friend’s child….at the time of this picture he was 3 months old. He does this very interesting thing where when he wants to reach for something carefully, he brings his hand to his face at midline, then reaches out from that point…my friend said her older son (who is like super genius awesome boy), also did that. Anybody else ever see this before? 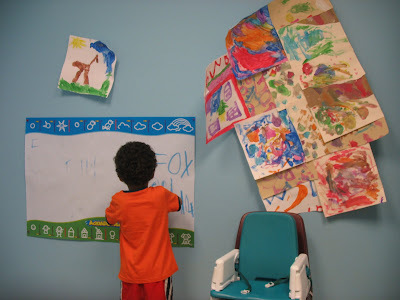 Little boy doing AquaDoodles in our small OT office…he obsessively copies out a Fox DVD cover with the serial numbers and everything, like ECQF4 etc. …. 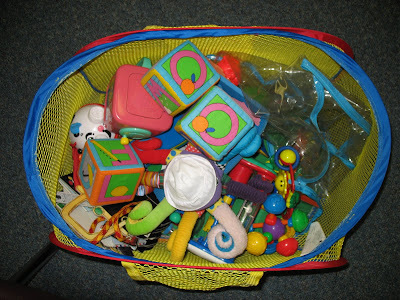 The bag of Early Intervention toys we use a LOT.